My name is Jessie Rounsley and I got started with the American Red Cross in May of 2016 as an intern in Sioux Falls, SD. I chose to get involved with the American Red Cross because I thought they had an amazing mission, and that it was an organization with which I could make an impact on other’s lives. I really wanted to help people recover from disasters. I wanted to lift people from some of the worst times in their lives to a place where they could focus on recovery and improvement. I believed that if you have the opportunity to improve just one person’s day or life then it is worth it. Even the smallest amount of good is meaningful when there are so many negative things happening in the world. The American Red Cross is able to help so many people during disasters and throughout their recovery. I have had the opportunity to witness just how much of a positive impact the Red Cross can have on people’s lives. 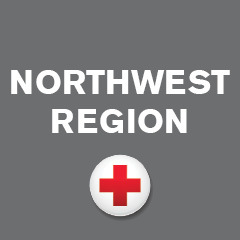 I am now an AmeriCorps serving at the American Red Cross in Snohomish County, Washington. I serve as the volunteer services coordinator and I get to meet and work with some amazing volunteers in our county. I love getting to hear each individual’s motivations to volunteer, and the stories that brought them to the Red Cross. I hope to continue working with this organization; specifically I want to focus on getting more young adults involved. I feel that many young adults don’t think about the good they can do by volunteering and I want to engage this audience. I strongly believe in the Red Cross’s mission and I am very thankful to be a part of this amazing organization. Jessie wants to recruit more young adults to volunteer with the Red Cross!